On one of our many visits to London recently, we stumbled across some amazing visual merchandising. 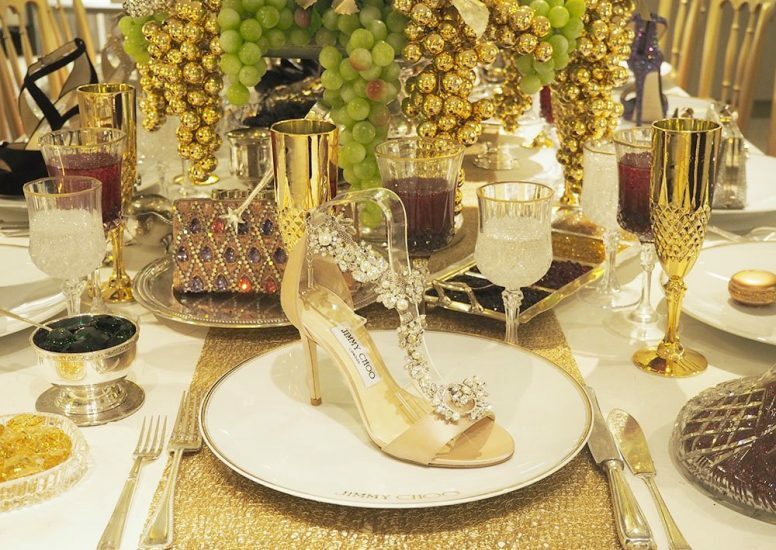 Jimmy Choo have created a dinner party display in Harrods and whilst it lacks actual food and drink, it does feature some of the brands finest shoes and handbags! 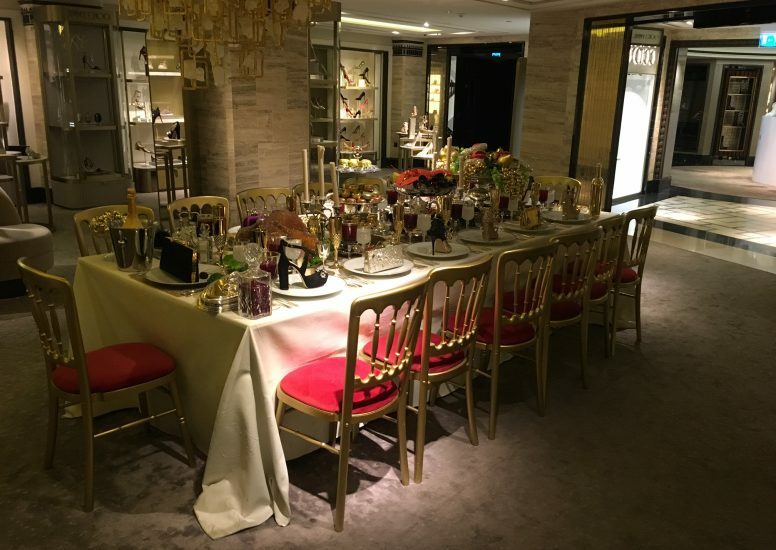 The vast use of Swarovski crystals allows the table to shimmer in the stores light. 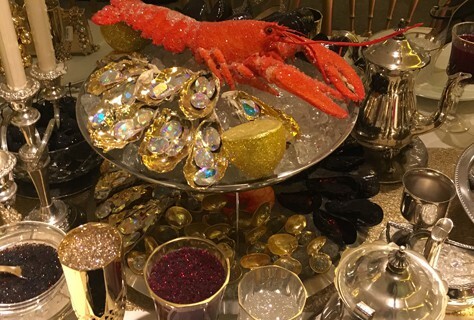 A lavish feast has also been created to fill the table with turkey’s, lobsters, and macarons; all encrusted in crystals to add to this already eye-catching display. 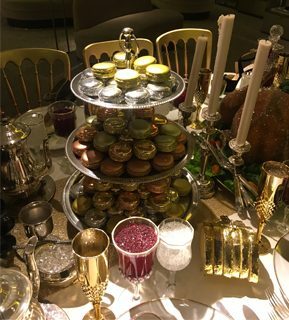 The attention to detail in this promotion is astounding with wine glasses filled with coloured crystals and faux pearls sat in gold oyster shells. Although the display is extravagant, the Jimmy Choo product is still the highlight of this display. 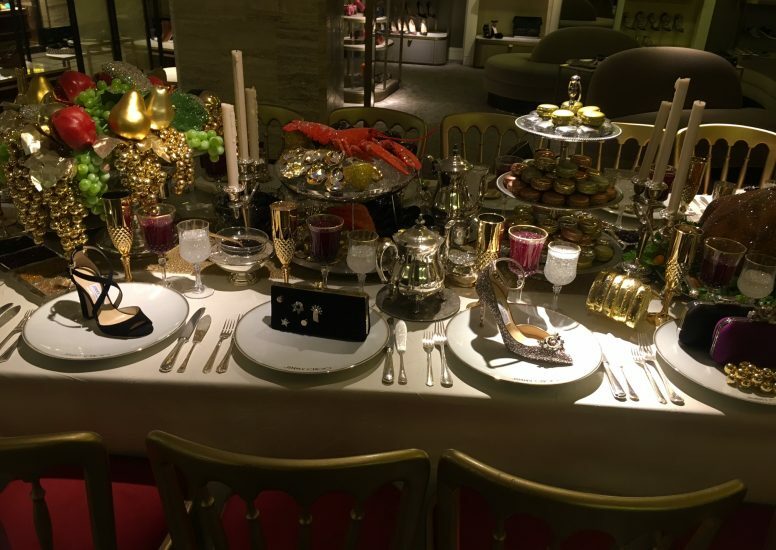 The whole table exudes the premium nature of the brand and, of course, the elegance that Harrods is renowned for. The photos really speak for themselves but we recommend a visit if you find yourself in the capital!